Countless activities and stunning views in two Colorado locations will give a “Rocky Mountain High” to any visitor. Exhausted and worn-down from the daily commute? Take a break from the urban hustle and recharge your spiritual batteries at YMCA of the Rockies. The Y offers two authentic Colorado locations­­­­—the Estes Park Center and Snow Mountain Ranch—situated along the Continental Divide and Rocky Mountain National Park. Both are filled with valleys and streams to get your group back in touch with nature, and you’ll find lodging, activities and dining accommodations all in one place. Located just 20 minutes away from Estes Park, Rocky Mountain National Park features over 250,000 gorgeous acres for your group to explore any way you please. Looking to see alpine lakes and waterfalls without splitting up the group? Many trails feature views of landmarks such as Alberta Falls and Bear Lake. Locations on property are perfect for picnic lunches, and five campsites are available if you wish to spend an evening off -property in the mild warmer months. Stake out a site and look for the herds of elk and the park’s iconic bighorn sheep. Your group can find the same amount of adventure without ever leaving the property. Snow Mountain Ranch’s Nordic Center has more than 100 kilometers of maintained trails for cross country skiers of all abilities. Beginners can ski on short loops around the Nordic Center while the experienced racer can train on longer trails with steeper climbs. Less physically intense are the popular snowshoeing trails, perfect for invigorating group excursions or refreshing solo outings. The Grand View Trail will lead your group to Nine Mile Mountain, with views of Arapaho National Forest perfect for photo opportunities. You can get a taste of pioneer culture by touring the many historic structures on property, all easily accessible and with free admission to guests staying on property. Rowley Homestead is a preserved rancher cabin where children can dress in period-accurate clothing and carve a walking stick, while at the gold mine you can explore a small cave from Colorado’s gold rush. Above the Estes Park Center is the John Timothy Stone Mountainside Chapel, a minimalist worship site where special worship services are held. With Emerald Mountain as an imposing backdrop, your group can revel in the wonder of nature with fellow worshipers and get in touch spiritually. Weekly non-denominational services are also held in the Hyde Chapel or Legett Christian Center, depending on the time of year. 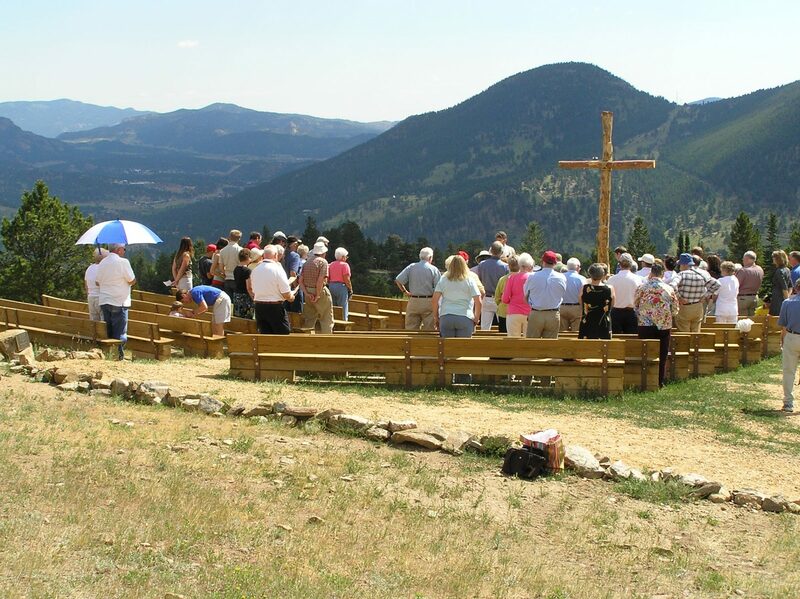 Groups are encouraged to hold their own prayer and reflection in the park’s many picnic areas, while simple hikes through the Aspen forests have brought spiritual peace to travelers here for decades. The crisp mountain air and relaxed pace of Colorado life make the Estes Park Center YMCA a perfect place to try yoga, with techniques you can practice anywhere. Everyone in your group will love chair yoga, which you can perfect at your desk, in the car and even watching television. Emphasis is on joint mobilization and increasing strength and flexibility gradually, resulting in better balance, spatial awareness and a happier mood to bring back home. More ambitious or experienced yoga practitioners can try a power yoga class, with more focus on core and leg strength. 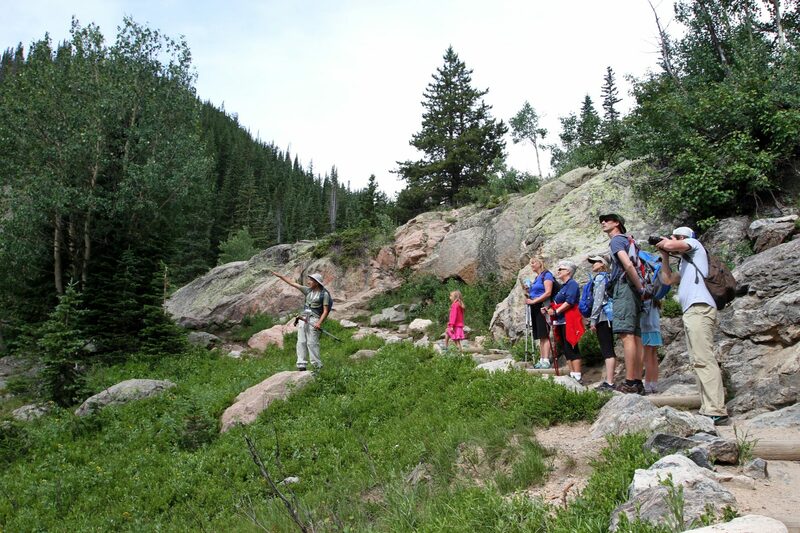 The Waterfall Trail is a classic route for large groups that combines all the qualities of the Y’s Estes Park location: scenery, adventure and accessibility for all abilities. This 2.5-mile route leads your group over hillsides, through secluded forests and over creeks to arrive at a pristine waterfall made of mountain snowfall. More adventurous groups can take the Coyote Tooth route on the way back to base, with rugged switchbacks and views of the valley below. 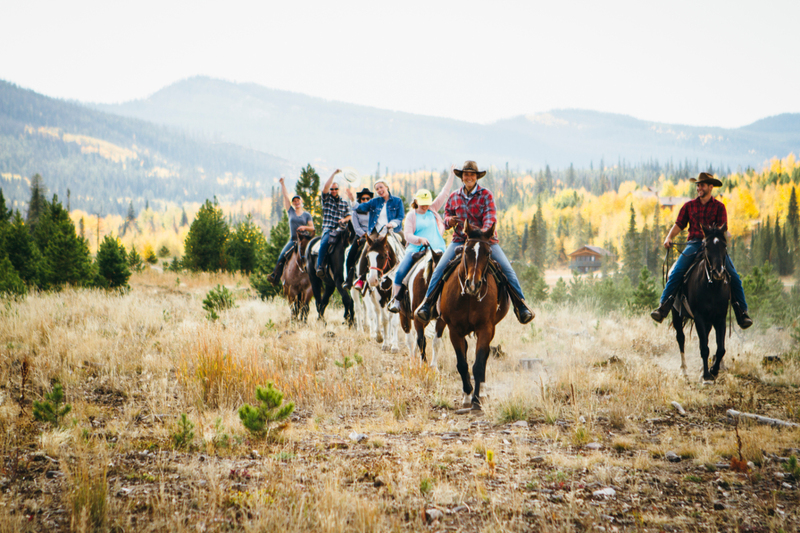 Unlock your inner cowboy or cowgirl with horseback excursions through the YMCA’s beautiful fields and forests. Programs range from one-hour morning rides to half-day excursions with steak dinners at Snow Mountain Ranch. The convenient Sombrero Stables at Snow Mountain Ranch and Jackson Stables at Estes Park offer wagon rides with friendly ranchers available to answer any questions. With endless activities and a self-contained location, YMCA of the Rockies is perfect for large family gatherings. The Reunion Cabins at YMCA of the Rockies are perfect for large family reunions of 15 people or more. These are available year-round, and include all the amenities your group needs for some memorable quality time together including kitchens, dining rooms, living areas and fireplaces. Throughout the day, your crew can stop in to the main dining room and enjoy an all-you-can-eat-buffet; at YMCA of the Rockies, families will never go hungry. Craving to get off-property for a day and explore more of the panoramic Rocky Mountain scenery? Trail Ridge Road, the highest continuous paved road in the United States, offers a scenic Colorado road trip between both YMCA of the Rockies locations. Wildlife-lovers will have enough stops to fill an entire day of nature sites, including Rainbow Curve and Beaver Meadows, where you can spot elk, moose and other species.